View all Luxury Homes for Sale in Orlando Florida and Luxury Orlando Real Estate Listings. see Orlando Luxury Home Prices, Photos, Virtual Tours and more! 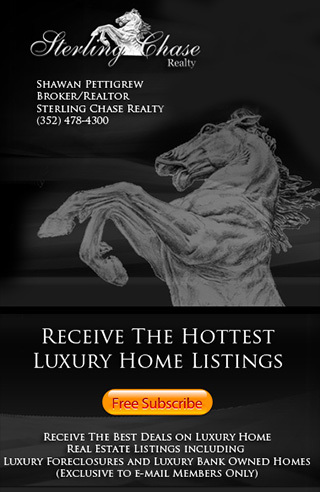 Sterling Chase Realty offers Luxury Homes for Sale in Orlando Florida and features the Orlando Luxury Home market as one of the top ten places to buy a Luxury Home in Florida.